Scroll on down the page to read about Bad Boy Gloves. Check out these Bad Boys! These gloves are made to get down and dirty, just as the name implies. The Bad Boy Fight Gloves are tested around the world by some of the best MMA and Vale Tudo fighters, they hold up, round after round. The cut finger and open thumb and palm construction are perfect for stand up training and wearing and tearing the gloves on bags. They are also excellent for grappling. The gloves are well made with genuine leather and can take what you can dish out. Leather withstands the test of time and is durable, often lasting five years or more with no problem. They are comfortable too! The Training Gloves are as popular as the Fight Gloves are. Most MMA training gloves have a higher weight and more padding over the knuckles in order to offer more protection to both you and your sparring partner. They usually offer a thumb covering of some sort. Fight gloves are usually full open-palm, offer no thumb cover, have less padding will generally have a looser fit to accomodate some sort of hand wraps or tape. The Pro Style MMA Training Glove is made of high quality synthetic leather construction and has dual layer padding consisting of state of the art EVA/gel infusion. The open palm design makes for maximum grip with the additional security of a thumb strap. The gloves feature a premium grade synthetic leather cover for protection and durability. To keep the palms and hands from sweating, they have a moisture wicking bonded liner which also reduce odor and foam breakdown. An adjustable hook and loop wrist strap provides maximum support. 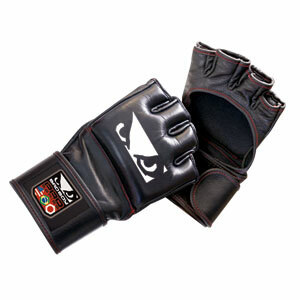 The Competition Style MMA Training Glove is much like the Pro Style. It has an open palm design for easy fist making which is vital in the ring. A padded thumb adds protection and comfort. Reinforced finger openings make the glove even more durable. The Competition Glove, just as the Pro Style, is constructed of premium grade synthetic leather cover for durability and protection and has the moisture wicking bonded liner as well. Adjustable hook and loop wrist strap provides maximum support and make it very convenient when putting on or taking off the gloves. Dual layer padding combines EVA foam with gel infusion technology better disperse impact and increase protection. No matter which one you choose, Bad Boy Gloves are definitely worth the investment. Much thought, experimentation and technology goes into each and every pair so you can concentrate on your game and not worry about your glove. Bad Boy began years ago in 1982. Early on, the company only locally produced t-shirts and shorts for surfers, skaters and motocross riders in San Diego but by the nineties, they created a limited line for combat sports. Brazilian Jiu Jitsu fighter Rickson Gracie, of the legendary Gracie family, was the first to dawn the apparel and did so wearing a Bad Boy kimono on the cover of a popular magazine. Both the magazine photo and the kimono were a hit. Jiu Jitsu was just starting to really take off in Brazil at that time and Bad Boy got in at the perfect time, sponsoring Rickson. Luta Livre, a Martial Arts accademy in competition with Jiu Jitsu, was in opposition of this rising popularity and set out to settle the score by way of the first Martial Arts tournaments which were called Vale Tudo. At the tournaments, Bad Boy noticed the difficulties the fighters had in the traditional gi and other customary attire so they introduced the very first MMA shorts. The shorts sold like hotcakes and Bad Boy just kept on finding needs in the MMA World and filling those needs. 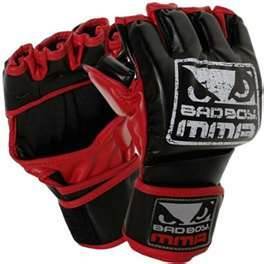 Today the Bad Boy line not only consists of shorts and t-shirts but of uniforms, gloves, head gear, mouth guards, kick shields and tons more MMA gear and equipment. They even make a heavy bag! What really sets Bad Boy Gloves apart is that just as it was in the early days of the company, the items produced are to fill a need. Solution oriented Bad Boy saw the need for a great fitting glove and added a Velcrow strap. The glove needed to fit just a little tighter so they widened the strap. Bad Boy comes from a Brazilian Jiu-Jitsu background. Rickson Gracie was the first fighter to be sponsored back in the 1990's and a slew of greats have followed. Bad Boy fighters are a force to be reckoned with for sure. They are the best of the best. 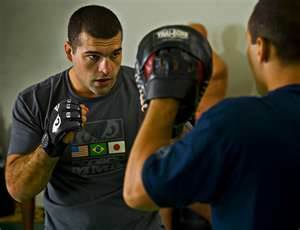 Mauricio “Shogun” Rua is one of the “Bad Boys” singing the praises for this fight glove. Rua is one of the top Light Heavyweights in the world and has won against such superfighters as Chuck Liddell, Mark Coleman and Quinton Jackson. Demian Maia is another Bad Boy. One of the best Welterweights in the UFC, Maia has five times World Jiu Jitsu Champion and has been deemed the best grappler in the UFC by many. Renzo Gracie, Diego Sanchez, “Cigano” Junior, Roger Huerta, and Paula Thiago are just a few of the other sponsored fighters that also use the equipment, sport the t-shirts and wear the gloves. I'm certainly not arguing with these “Bad Boys”. I too highly recommend the gloves. 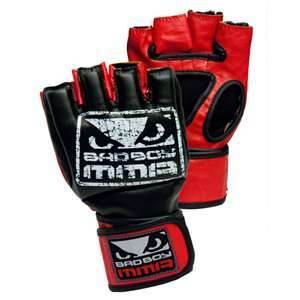 If you are looking for a well constructed and highly effective fight glove you aren't going to find much better than the Bad... Bad Boy Glove, that is. You need a base level of fitness or you are going to lose out early. Once your legs and arms go weak, you can turn out the lights literally. 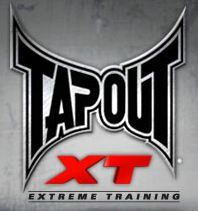 It is hard to train fitness and Jiu Jitstu separately. Well it is not hard, it is time consuming. I found a program I like for combing the two. 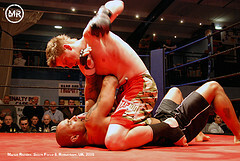 In addition to promoting fitness you learn all kinds of chokes, and locks. Just by looking at their site you can watch several videos for some new moves. Fitness Jiu Jitsu is a site that I enjoy, and at the least you can learn something from the free videos. Choose from UFC, Bad Boy and more. BOB XL is our #1 best-seller.